A trio of Scappoose Middle School students who helped spearhead a fundraising campaign earlier this school year was successful in collecting more than $1,000 to install a new water bottle filling station at the school. 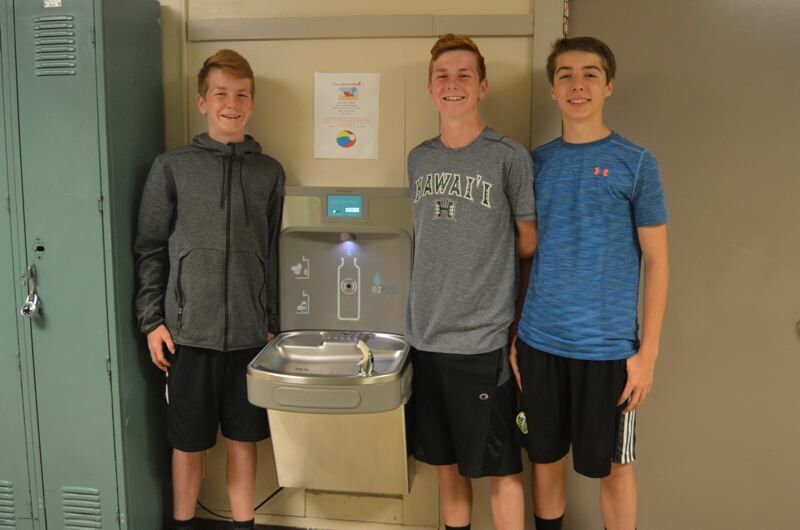 In January, Mason Earl, Luke Suchoski and Rowen Suchoski — all eighth-graders at the middle school — collected $180 in a matter of days to help pay for the water bottle fill station. But when the cost of the station was discovered to be significantly greater than what they initially brought in, the teens helped plan all-school fundraisers to bring in the rest of the needed money. As part of the fundraiser effort, students could donate toward the fund and, in exchange, receive school perks such as watch basketball games during lunch, play dodgeball, or wear a hat a school for a day. Nick Jenkins, a counselor at the school, said the students raised raise all they needed for the project and more. In total, they raised just under $1,100. The water fountain fill station was installed several weeks ago and has already been used more than 700 times.